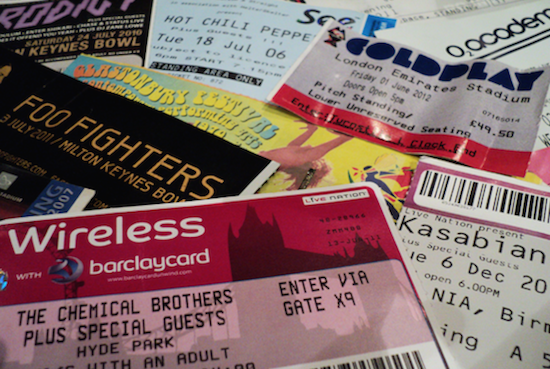 The US Department of Justice has opened an investigation into alleged monopolistic behaviour by events company Live Nation which is linked to the organisation's 2010 merger with ticketing company Ticketmaster. As The New York Times reports, the accusations of Live Nation's breaches have come from one of their main competitors, AEG, who say that some venues have lost valuable shows after switching away from Ticketmaster for ticket sales. Atlanta's Gwinett Centre is one such example, with the venue claiming that they were dropped from Live Nation-controlled tours in 2013 after switching from using Ticketmaster to an AEG-controlled ticketing company. Emails between Dan Markham, who is Gwinett's bookings director, and a Live Nation representative, show that the former approached Live Nation to discuss the reasoning behind the venue's loss of shows. The response from Live Nation read: "Three letters. Can you guess what they are?"